Polish defence chief expects any problems with the NATO plan to be "resolved in a positive manner." The United States could turn to Canada to help it establish a new NATO force in eastern Europe as a deterrent against Russia because it is struggling to win support from its European allies, Reurers reported with a reference to diplomatic sources. The reluctance of some European governments to help the military build-up, the biggest since the end of the Cold War, reflects internal doubts over whether the alliance should be more focused on combating militant groups and uncontrolled flows of migrants, mainly from the Middle East and North Africa, the agency wrote in an exclusive material. 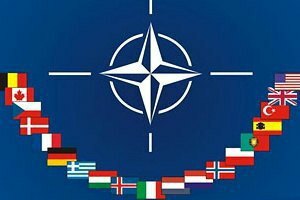 "There are divisions within NATO," said Sophia Besch, a European defense expert at the London-based Centre for European Reform think tank. "Some allies feel the focus should be on the south." A senior Polish diplomatic source familiar with the negotiations said NATO would not allow the build-up to fail as it had already been announced, and because Russia might exploit it as a sign that NATO is unwilling to defend Poland. "The summit in Warsaw will be President Obama's last (NATO summit) and the U.S. wants it to be a success. It will ensure that the fourth framework country is found, possibly by leaning on Canada," the source said. "Washington will bend over backwards here." NATO defense ministers will next week formally agree on the plan for four battalions to be involved in the new force, part of a deterrent made up of forces on rotation and warehoused equipment ready for a rapid response force in case of attack. That force includes air, maritime and special operations units of up to 40,000 personnel. According to Reuters, Britain is likely to deploy to Estonia, Germany to Lithuania and the United States to Latvia. The United States will also supply an armored brigade to rove around the eastern flank. Only Poland appears to be left out at this stage. While the United States is increasing its military spending in Europe to 3.4bn dollars in 2017, defense cuts in Italy, Belgium and France during the euro zone debt crisis complicate military planning. Canada, which has 220 armed forces personnel in Poland. "Canada is actively considering options to effectively contribute to NATO's strengthened defense and deterrence posture," said a spokesperson for the Canadian Department of National Defence.